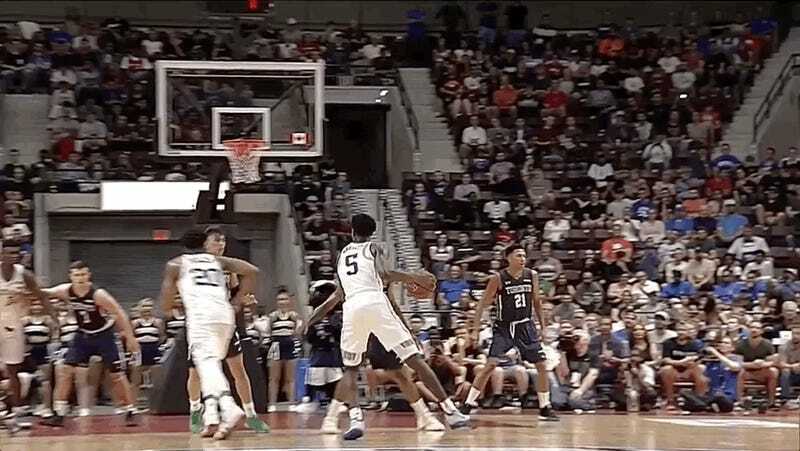 That’s a freakishly long 6-foot-7 lead guard dribbling into a smooth above-the-break three-pointer. Possibly the best non-dunk highlight from Friday night’s game—by the way, there were some hilariously violent Williamson dunks in there—was Barrett riding some Canadian buster into the paint, slapping the poor fool’s desperate shot away, then charging the length of the floor in transition to finish with a soft and-one layup (about 2:08 in the video). Barrett now has 69 total points in two exhibitions as a Blue Devil, and that is while sharing attacking duties with Williamson, who has 53 points of his own. I have already had enough of this loaded Duke team, and they haven’t yet played a single minute of basketball in the United States. 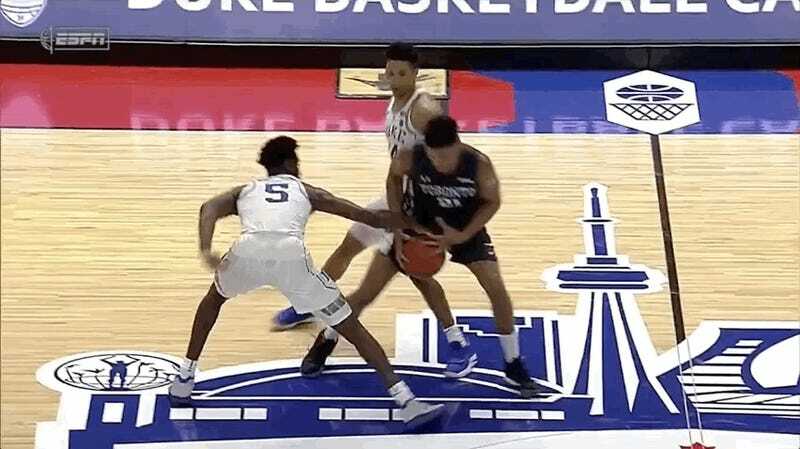 It’s bad enough that Duke has a once-in-a-lifetime athletic monster of a forward, without also having this dynamic all-court buzzsaw of a guard. And we haven’t even mentioned 6-foot-9 forward Cameron Reddish, who in any other year would be considered the top prospect in the nation. Various mock drafts have Barrett the early favorite for the number one pick in the 2019 NBA Draft, with Reddish and Williamson inevitably in the top five. You will have no choice but to pay a lot of attention to the disgusting Blue Devils this fall and winter.